World Cup tournaments don't come around every year so if you're a big netball fan commemorate this year's competition with the World Cup 2019 Official Match Netball from Gilbert. This netball from Gilbert is a limited edition ball and is perfect for any netball fan to celebrate the prestigious tournament. This ball is perfect for training practice or simply as a souvenir memento piece. 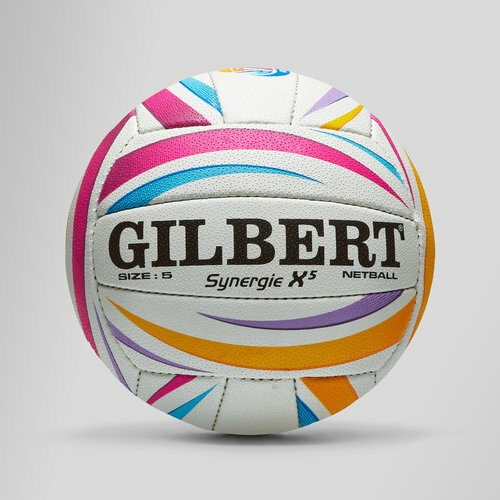 The official ball chosen and used for the Netball World Cup is the world-renowned Synergie X5. The Synergie X5 is of international standard and quality with a pro performance ensuring that players will benefit from maximum control and accuracy. This is the official netball of the INF 2019 World Cup. The ball, which will be used by the 16 competing teams, incorporates four colours in its design reflecting the four foundation pillars of the Netball World Cup. Pink representing elite sport, yellow representing empowering women and girls, purple representing one incredible destination, and blue representing welcoming the world.